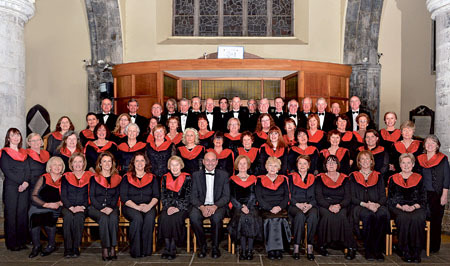 MOZART’S ‘CREDO’ Mass in C Major will be among the works performed by the Galway Choral Association at its winter concert this weekend. The concert takes place this Saturday at 8pm in St Nicholas’ Collegiate Church and will raise funds for Croí and its work in the area of heart disease and stroke. The programme will also feature ‘Funeral Ikos’ by Sir John Tavener and ‘Cantique de Jean Racine’ by Gabriel Fauré. The choir will be under the baton of musical director Norman Duffy; be accompanied on organ by David Grealy; and the soloists will be Sarah Skerritt (soprano ), Judith Lyons (alto ), Eoin Hynes (tenor ), and Brian Kelly (bass ). Support is from The Acapella Knights, a recently formed Galway based male singing group.